Hello my crafty friends! I have made a fairly simple Valentine for a couple of challenges. The sketch came from Freshly Made Sketches and the subject is from Inspired by All The Little Things. 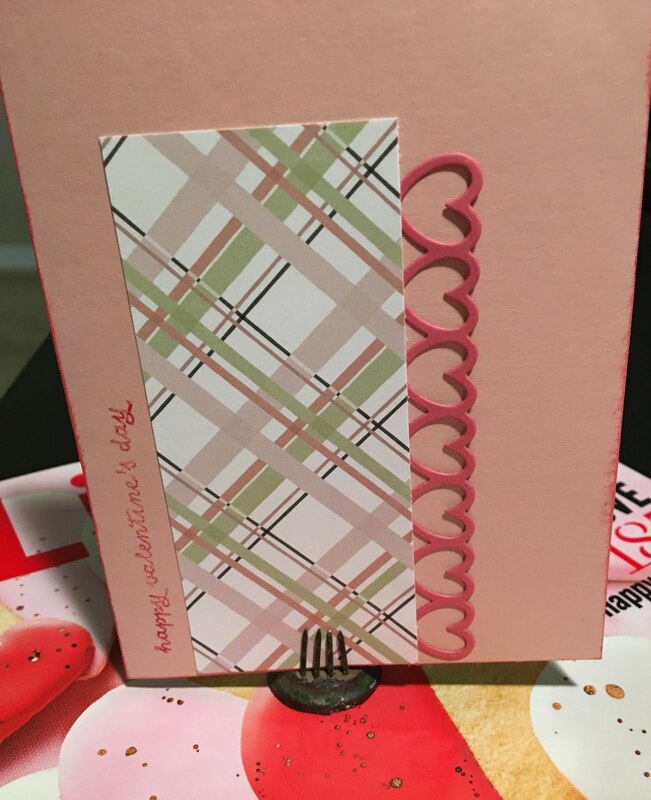 The patterned card, stamp, and die is from Reverse Confetti. So cute! Love the heart edging! Glad you joined us at FMS! What a sweet valentine! Love that row of hearts! Thanks for joining us this week at Freshly Made Sketches! Lovely Valentine card! Thanks so much for playing along with us at Inspired By All The Little Things! I love that plaid! Great take on the inspiration photo!